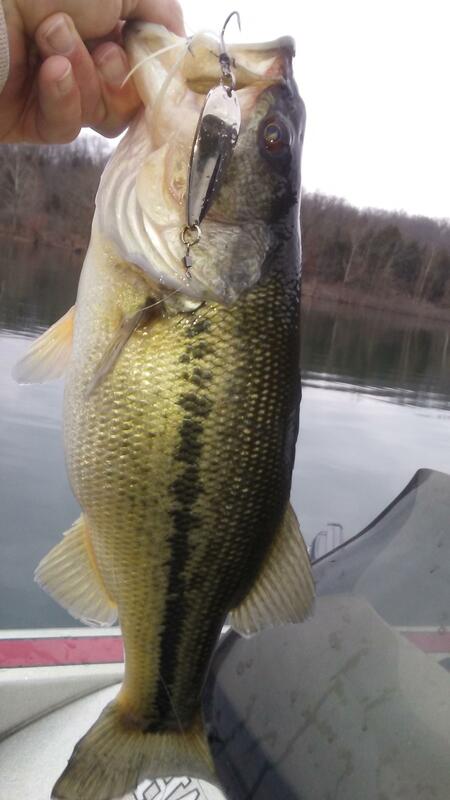 I fished from 7:30 to 10:30 and was fortunate to find a good underspin bite. I had 10 keepers (9 LM and 1 SM) with most on a 3/8 underspin with a 3" swimbait. I had a few bites on the flutter spoon. 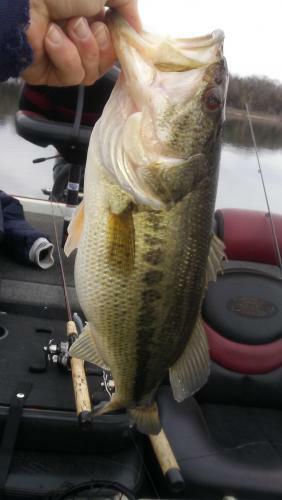 They would not eat a plain swimbait. I looked at 6 locations and the 6th location had the right combination of deep trees, bait, and active fish. I positioned my boat in 60' and cast over trees in 35' to 40' where the fish were bugging shad near the surface. My ideal fun fishing scenario for this time of year is what I found this morning. 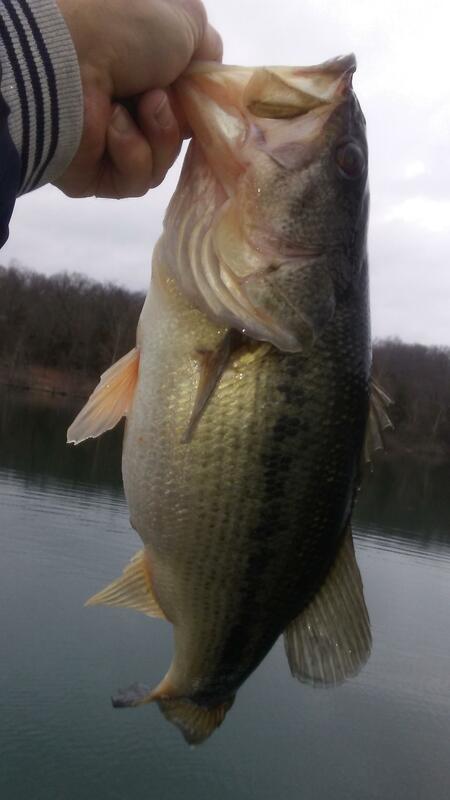 A general area for spawning that has plenty of trees, bait, and deep water. 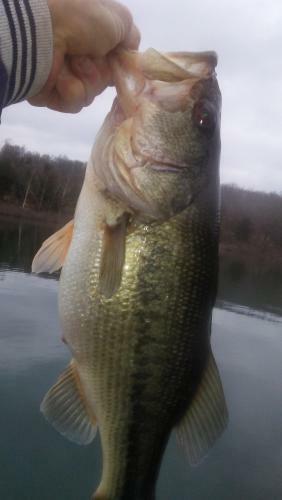 The next thing I am hoping for is the water temp stays below 57 and keeps the fish feeding in preparation for the spawn. WT was 48 to 50. 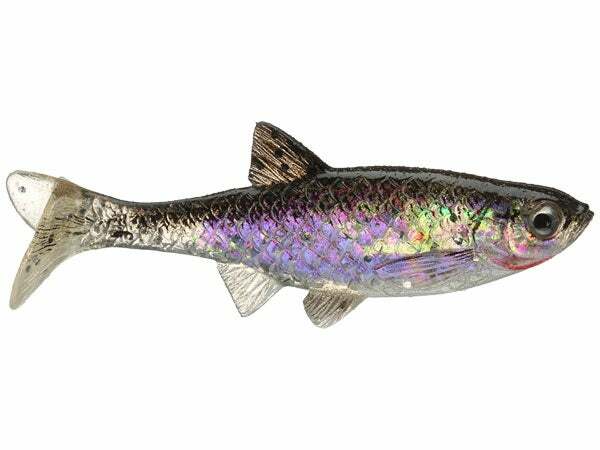 I was lucky that the area I found did not have dying shad. Also, I did not catch any Kentucky's. I did not catch any big females, but if the water temp stays below 57 there is a chance they will participate in a feeding frenzy when I am around. 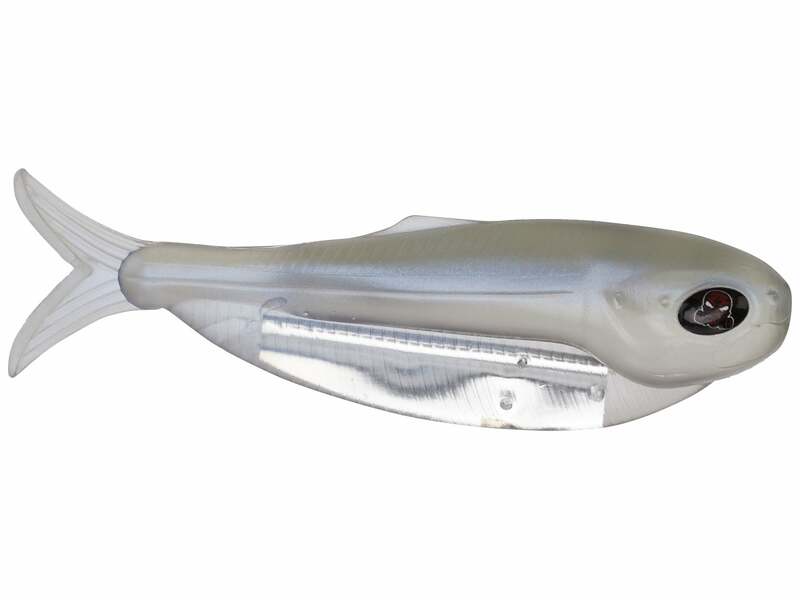 Does any know where I can find a good hand poured swimbait with built in flash in the 3.5 inch size. I picked these up at Cabelas back in 2011 when the a-rig craze emptied the shelves of Zoom swimming flukes. Don't know myself, but I like the look of those baits! 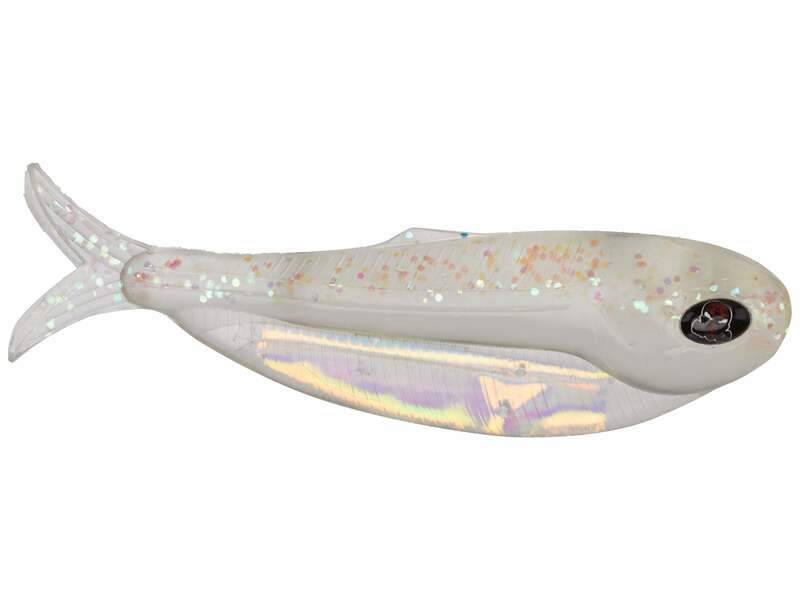 Not a paddle tail style but is around that 3.5" size and has the flash molded inside the bait. 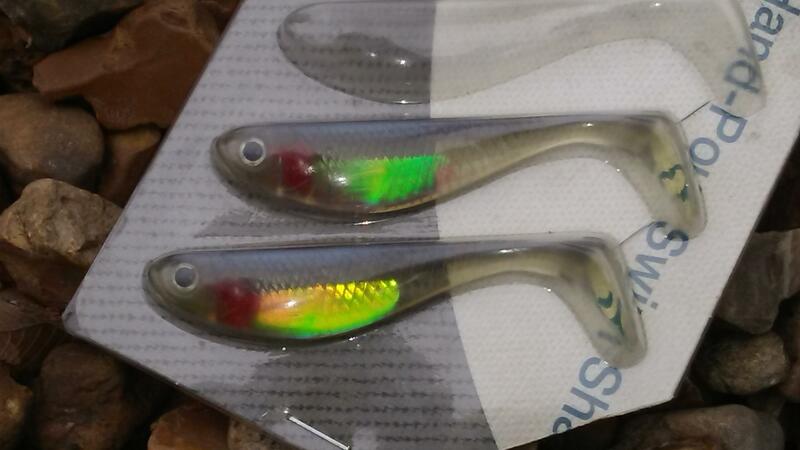 One more option I saw on TW that has the foil molded into the bait. It's a 3 inch'er though. Check out head case baits on instagram. He makes some with flash. He is in Cassville.